I still can’t believe we got in. 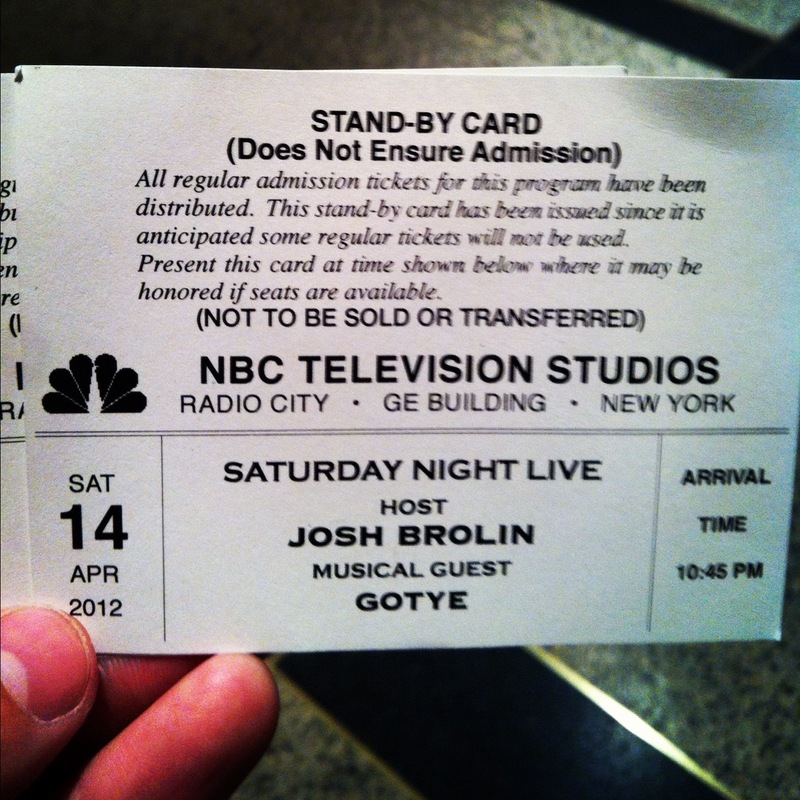 At 7am Saturday morning, an NBC page passes out stand-by tickets to SNL outside NBC Studios on 49th and 5th. You can choose a ticket for either the dress rehearsal show or the live show at 11:30. Quick side note, you must have a valid photo I.D. to receive a ticket. Ask Leslie for the story behind that one. Your ticket has your name and a number. This ticket does not guarantee admission into the show, it is simply a stand-by ticket. That means if a person who has a normal ticket does not show up, you get their seat. The ticket asks you to return to the studio that evening at a specific time at which point you are placed into yet another line. You are then lined up numerically according to the number on your ticket. Then slowly, as the seats inside studio 8H are filled, people who have stand-by tickets are asked to fill the seats that are empty starting with ticket #1 and proceeding until all seats are filled. 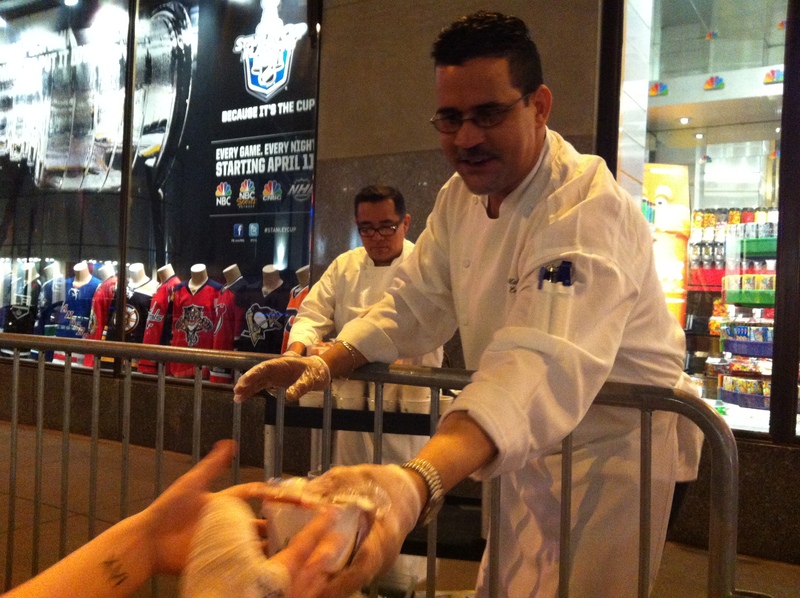 Every week NBC allows a different number of stand-by ticket holders in. They never know who is going to show up or what seats are going to be empty. We’ve heard they have let in as many as 45 one night or as few as 3 other nights. It all depends on the host and band. And who doesn’t show up. 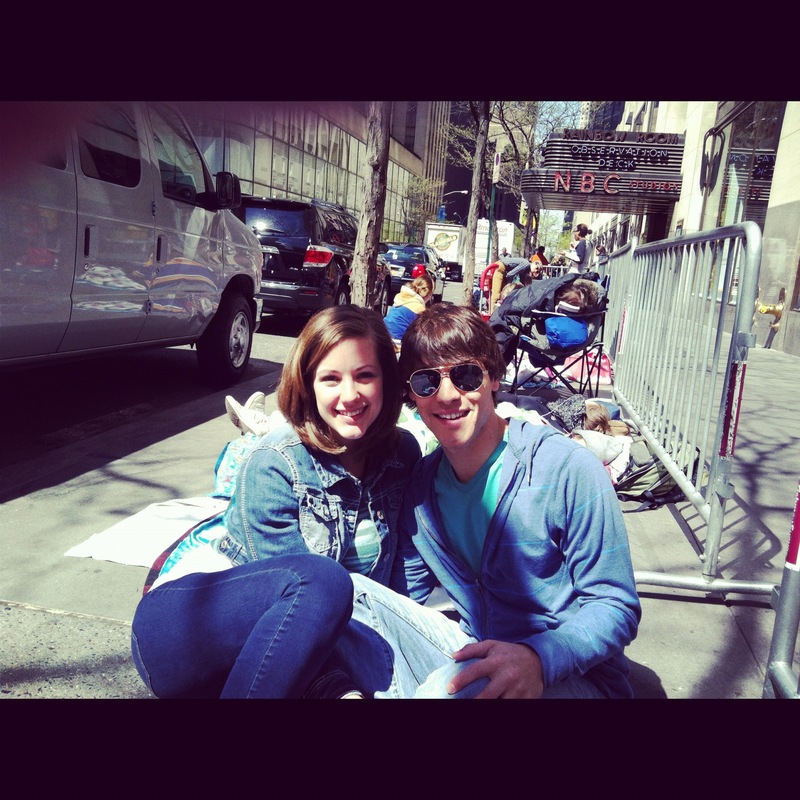 We got in line Friday morning at 11am and stayed outside all day. By that time there were already 14 people in front of us, but we liked our odds. Probably close to 300 tourists asked us what we were waiting for that day. And that number is probably under-estimated. A girl nicknamed “Thesis” 2 spots behind us was doing her undergrad project paper on the SNL ticket process. She counted that in 1 hour 60 people asked what we were doing or waiting for! But that’s not what gave us hope. The fact that they followed our answer with “Ah cool. Who is hosting?” and then a “Josh Brolin, who’s that?” made us all feel pretty confident that people wouldn’t show up for the show. I mean who has heard of Gotye? And isn’t Josh Brolin that dude from The Goonies? THIS IS SATURDAY NIGHT LIVE! And Gotye is pretty awesome. And Josh Brolin is a really good actor. Anyway, people trickled into the SNL stand-by ticket line all day. By 11pm close to 150 people were sleeping outside with hope of watching the beloved show. 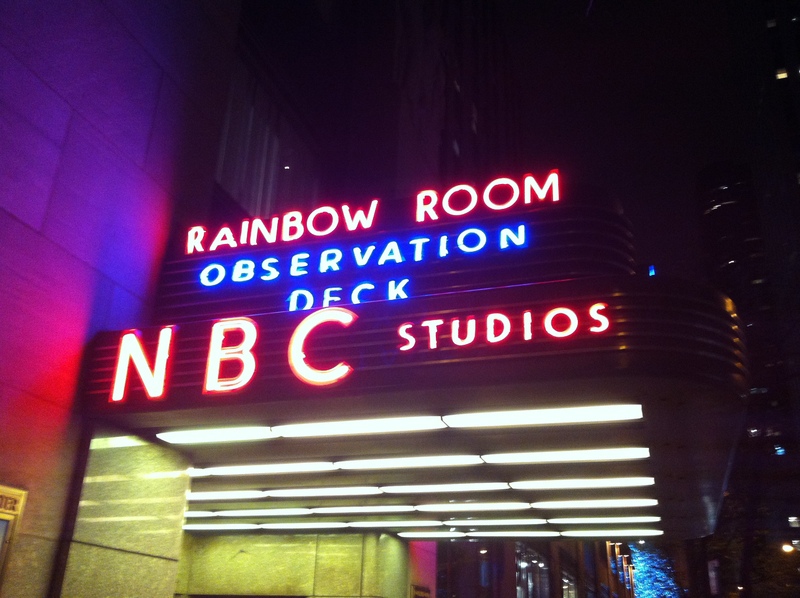 TIP: On 49th street outside of the NBC Studio Rainbow Room Observation Deck entrance is a bike rack. The word was if you are in front of the back rack, you have a great chance of getting in. Anything behind the rack is a stretch. But again, you never know. 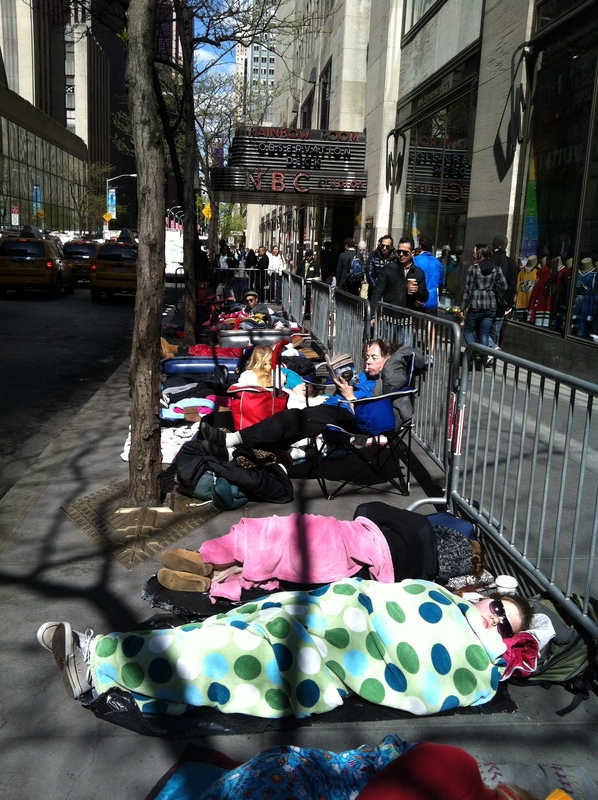 So what do you do for 20+ hours on the street of NYC while you wait for stand-by tickets to SNL? It’s actually not as bad as it sounds. Everyone in line is excited for the show so it’s not hard to make new friends. Some people are pretty dedicated to the show and had some great stories to share. Arlene and “Fedora” Chris come to mind. 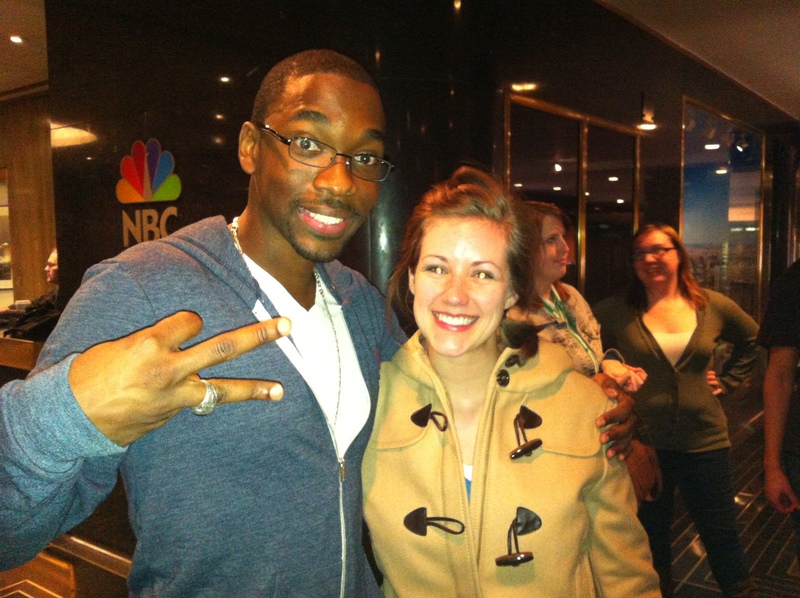 Arlene has been coming to SNL shows since 1995. “Fedora” Chris has been coming to the stand-by line for the past 4 seasons and has seen 66 shows. 66. 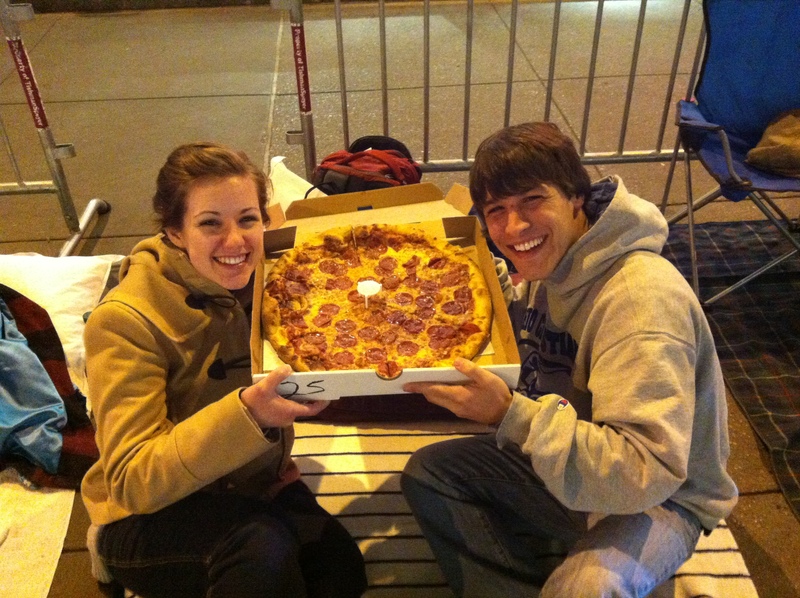 Other than making new friends, talking about your favorite SNL hosts, cast members, or skits, ordering the best pizza in the world, and sharing many laughs, we had a few big surprises come along our way that night. 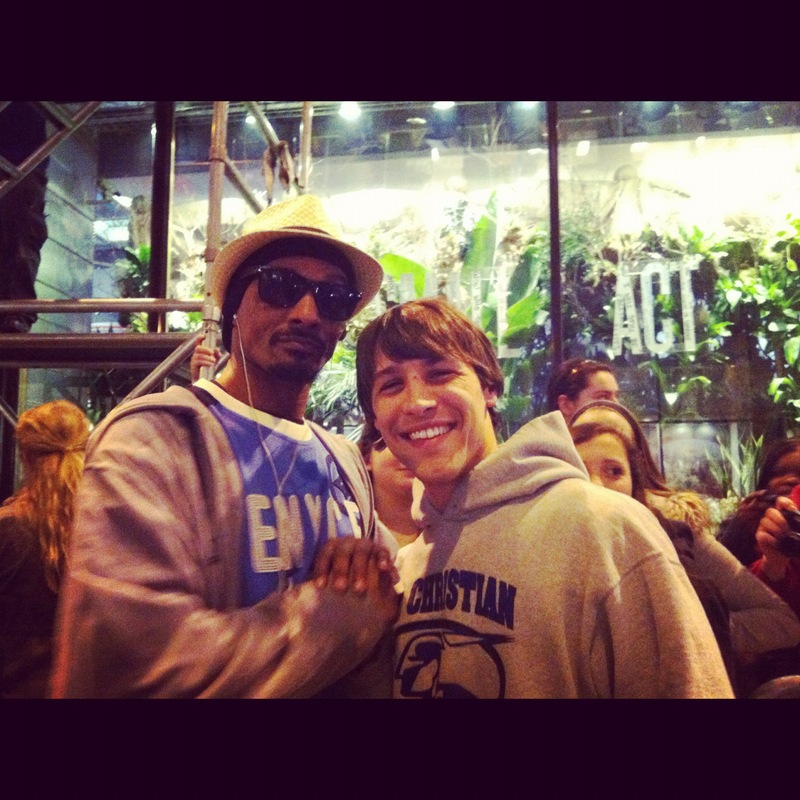 It all started with Snoop Dogg. All of a sudden, this man, who looked exactly like Snoop, walked down the street surrounded by a crowd of people. Whether it was an imposter or not, the excitement was a breath of fresh air to the night and seemed to really kick-start an exciting next couple hours. After our picture with Snoop Dogg, we were greeted by 2 NBC chief’s who said Lorne Michaels wanted to give everyone free soup for the night! Nothing taste’s better than free! And it was cool that Lorne thought of us. Thanks Lorne (I’m sure you’re reading this)! After the Lorne Soup, Bill Hader exited the building and walked right beside us! 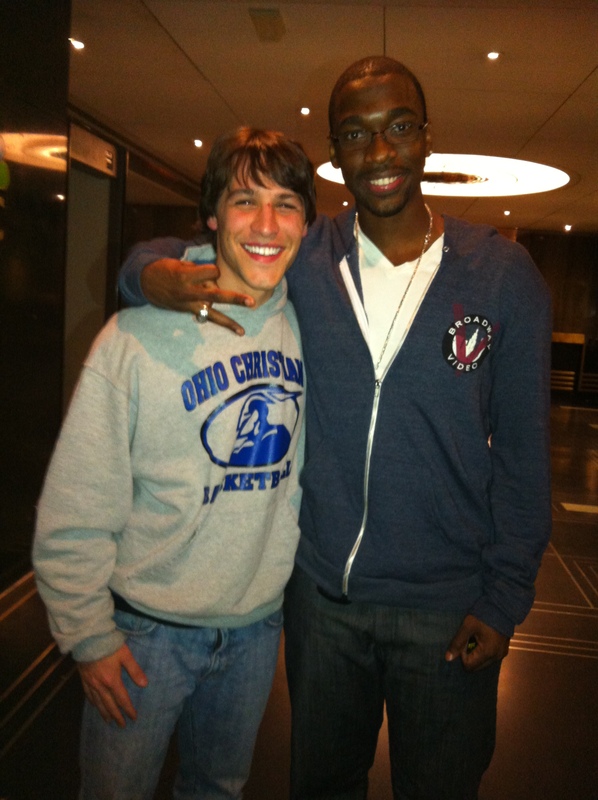 He said he didn’t have time to talk but wished us all luck in getting into the show. See ya later mountain face! The time was around 11pm. Now the line was really buzzing! A bunch of us ran inside to see if you could catch any other celebrities leaving 30 Rock. Unfortunately Leslie and I missed Kristin Wiig, Fred Armisen, and Bobby Moynihan, but we were lucky enough to see Jay Pharoah. Jay was super cool. He hung out for about 10 minutes and put on a mini-improv show. He shared some new material and did a couple of impressions for us. He does a KILLER President Obama so hopefully we see some of that next year. After Jay left, I got to shake hands with John Mulaney. He is a writer for the show and recently had a stand-up special on Comedy Central called John Mulaney, New In Town. It’s pretty good! Check it out. We also saw Abby Elliott leave the building and Seth Myers was the last to leave. 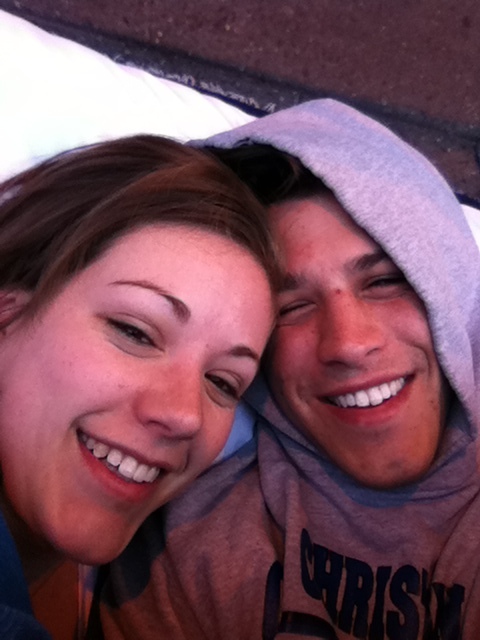 It was now close to 2am so we decided to head back to our campsite and try to get some sleep. For tomorrow was going to be a night to remember! I am the Student Ministries and Worship Arts Pastor at Trinity Wesleyan Church. I have the best job in the world with help from the best wife in the world serving the best students in the world all praising the best God in the world. Posted on April 16, 2012, in Life and tagged 30 Rock, Abby Elliott, anniversary, Bobby Moynihan, comedy, dream come true, Fred Armisen, funny, Gotye, hope, Improv, Jay Pharoah, John Mulaney, Josh Brolin, Kristin Wiig, les, life, Lorne Michaels, NBC, Saturday Night Live, Seth Myers, SNL, SNL Aug 14 2012, SNL tickets, Snoop Dogg, The Goonies, vacation. Bookmark the permalink. 2 Comments. If you have any ideas for picture formatting, please let me know! Thansk! EDIT: nvm figured it out! Omg….this is really scary. I’m planning on seeing the April 12th show (my 1st SNL) and now I’m pretty intimidated. So the best idea is to go before midnight on Friday?